The youth council will include up to 13 members. Role description for members are included in the Standing Orders. Priorities one membership reserved for Maori representation. One youth liaison appointed by the Selwyn District Council to oversee the operation of the youth council. The above position is an advisory role only and as such does not hold any voting rights and does not form part of the youth council quorum. Members of the youth council will elect a Chair, Deputy Chair, Secretary and Treasurer on an annual basis. The positions will be held for a maximum of two years. In the absence of the Chair, the Deputy Chair will run the meeting. If a youth council member misses more than three consecutive meetings without apology, their membership on the youth council will cease. In the event of gross misconduct the Selwyn District Council may require the youth council member to leave the youth council. Nominations for membership to the Selwyn Youth Council will be called for every two (2) years with all 12 positions available. Membership of the incoming youth council will be formalised by January. The standard term of appointment will be two years, and existing youth council members will be eligible for re-appointment. Should a youth council member need to resign, an appropriate replacement member can be co-opted in when the remaining term is longer than six (6) months. Call for expressions of interest from 14 – 24 year olds from within the district’s boundaries will go out via a number of different media channels (social media, newspapers, approached to schools and or tertiary education organisations, youth groups, the district council website etc.). Youth interested in being a youth council member are required to complete an online application form. An appointed representative from the Selwyn District Council. The youth council will meet up to 11 times per year between the months of February and December. Youth council members are expected to attend all meetings or a minimum of 75% (8) of the scheduled meetings. If a youth council member fails to meet this commitment, their membership of the youth council may cease. Youth council members must declare any conflicts of interest and should conflict occur, the youth council will work with council officers to resolve the conflict. A conflict of interest must be recorded in the meeting minutes. The quorum for the meeting will be half the committee present if the number of members is even or a majority if the number of members is an odd number. The Selwyn District Council will allocate $8,000 per annum to the operation of the youth council. These funds cannot be used for funding activities of other groups or activities. These funds will be managed by the Selwyn Youth Council and held and overseen by the Selwyn District Council and reported on by the youth council Treasurer. In addition, the Selwyn District Council will allocate $5,000 per annum to the Selwyn Youth Project Fund. 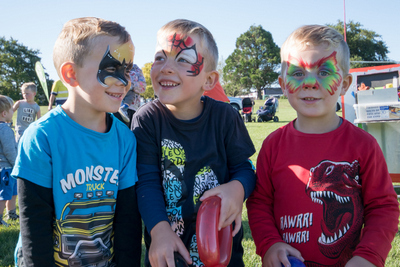 The fund is to support groups and individuals whose projects, events or activities contribute to the strengthening of youth wellbeing in Selwyn. Meetings will be run in line with Standing Orders. All minutes and agendas are to be supplied to the district council who will make them available on the Selwyn District Council’s website. Agenda items must be presented to the Chair five days before the meeting. The youth council will report to the district council twice a year in July and December. The report will outline work undertaken, attendance and number of meetings held, the youth council’s achievements and any issues or initiatives it wishes to district council to consider further. The Terms of Reference will be reviewed at the beginning of each term by the incoming youth council. All changes of the Terms of Reference will be in collaboration with the appropriate district council representative.